The other day, I attended an origami workshop and realized two things. One: Sadly I’m no good at it, and two: some people really are super talented, creative and have a lot of patience! Origami (Japanese for “paper folding”) is the art of transforming a flat sheet of paper into a sculpture through folding and delicately pruned sculpting techniques. No glue, cuts or markings are made on the paper, which makes it that much more difficult to achieve anything discernable if you’re amateur in the craft. The crane I tried my hand at, looked mildly crippled and had a beak deformation, whilst the fan I also tried just failed miserably and didn’t resemble anything other than random, purposeless folds in paper. 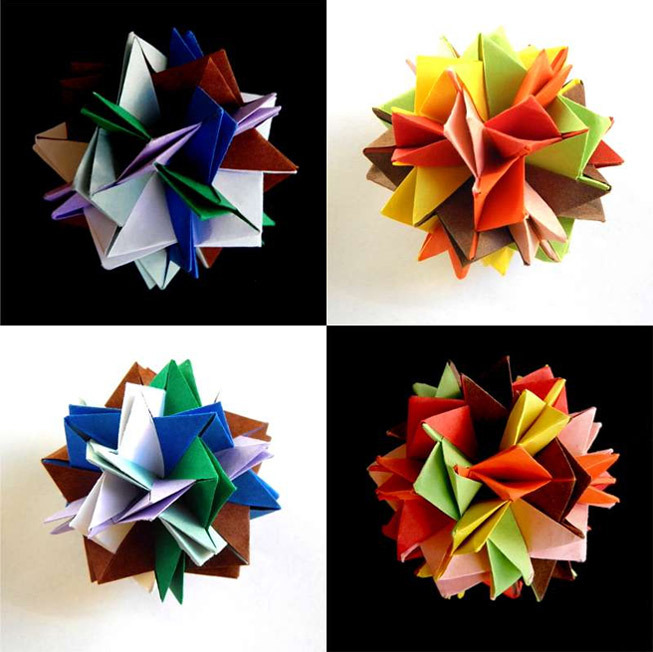 I guess what impresses me most about origami aficionados, is how they first created and imagined the steps towards the final object they want to make. Who would have thought that a few pieces of coloured paper could fold up and make a complicated layered swan, dragon or delicate bunch of flowers with amazing detail? But then again, who would have thought that a wallet could be handcrafted with origami inspiration and be fully functional to hold your coins, notes and cards, with only a nut and bolt to hold the whole thing together? No,No,Yes! based in Tokyo has created a collection of intricate “Shosa” that reflect art, heritage and cultural inspirations and makes it a pleasure to take out your wallet, even if it’s just to show it off! This entry was posted in Craft, General Talk and tagged art, craft, fold, Japanese, origami, paper.